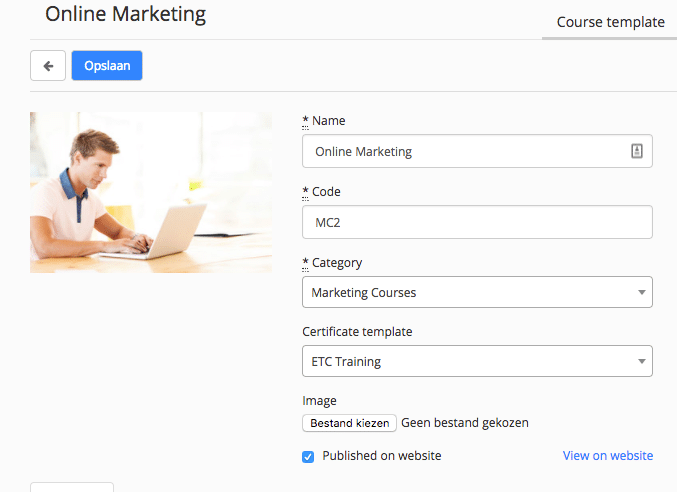 Manage your courses, CRM and enrollments completely online. Simple fast and with ease. Eduframe helps you save time and keep a simple overview of all your scheduled courses by simply setting up courses with teacher and location. Have a clear overview of all client information in one overview, you will never forget to call someone again! Eduframe provides you with an overview for your teachers with a personal login that allows teacher to view their scheduled courses. Fast process of student information. You can use this data for marketing purposes. Via automated emails, but also using the personal page for students and teachers. Use data to launch new marketing campaigns. By using automatic invoicing, you will save time and avoid mistakes. Easily export your billing information directly in your accounting package like Moneybird. Each administrator gets a personal dashboard with the upcoming courses and tasks. By using custom fields, you can add additional fields on various forms. Your training management software is because of this fully customizable. Manage tasks inked to courses, leads, enrollments, customers, students and teachers. Such as calling back clients or confirming attendee list before the start of the course. Eduframe has the option to automatically create and sent certificates to students which successfully finished the course. Easily import data off customers and students into the training management system. You can also always export data to programs like excel. When you customize course dates in your training management system, the changes will be automatically shown on your website and also available through Google. 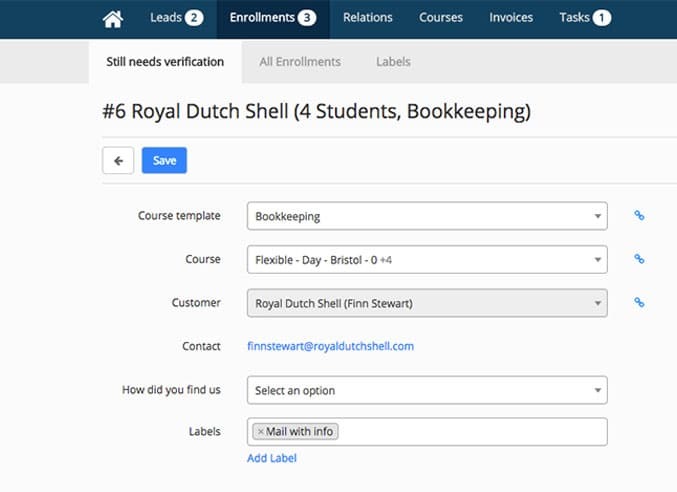 Information requests and online enrollments are immediately visible in your course management software. 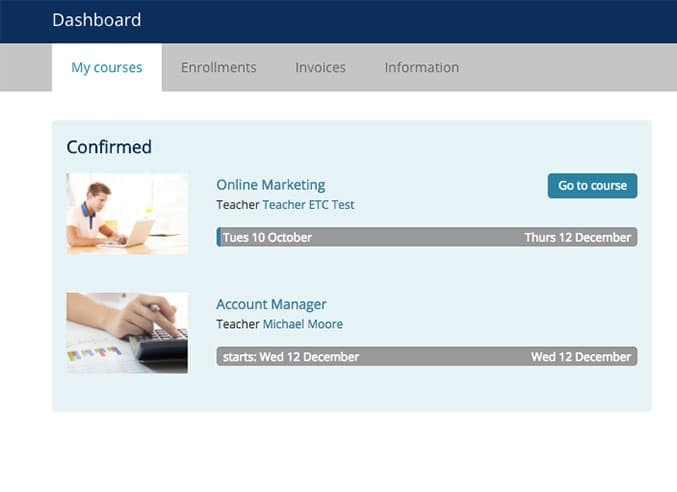 Eduframe provides your students, customers and teachers a personal page on your website with an overview off all courses and agenda of upcoming training days. In addition, they can change their personal information themselves without contacting you and the changes are directly visible in your course administration system. Students can access the online learning environment through your website without to login twice or use different passwords. The data in your training management system synchronises with your learning management systems. This will save time and errors.